1970 - The Jackson 5ive are on top of Billboard Number One Hits Chart with I want you Back. The song, along with a b-side cover of Smokey Robinson & the Miracles' "Who's Lovin' You", was the only single from the first Jackson 5 album, Diana Ross Presents the Jackson 5, released on October 7, 1969. I Want You Back is one of the biggest hits of Motown, and certainly the record that cost him the more, the recording sessions, usually curled in a half-day is endless - it was not rushed the beginnings of the group. Berry Gordy wrote in the chorus (The team with the Corporation), which was originally intended to Gladys Night, under the name of I Want To Be Free. The lyrics, which were not suitable for kids, are due to be reviewed and adapted. I Want You Back is the first gold record in the group. The title enters the Billboard Hot 100 November 15, 1969, and in the Black singles chart 22 November 1969. It reached the # 1, stayed there for 4 weeks and remained in the chart for 80 weeks! 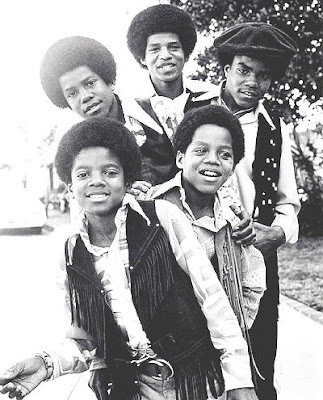 The original song was released in 1969, shortly after the J5 had signed with Motown and just before the release of their debut album Diana Ross Presents The Jackson 5. I Want You Back is part of the list of choices of Michael during his tours, including the most recent, This Is It, since the title is included in the program all the shows since 1969! It has sold 6 million copies worldwide. In 1999, "I Want You Back" was also inducted into the Grammy Hall of Fame. 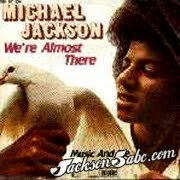 1975 - We're Almost There, the first single off Michael's final Motown album, Forever, Michael was released. The song is a soul-type of ballad that sparked a departure from Michael's previous material which had included bubblegum pop. As Michael's voice matured, Motown found Holland brothers Brian and Edward, who wrote material to suit Michael, who had sung in a higher voice for most of the duration of his Motown (1969-1975) tenure. Performing more modestly, the song eventually peaked at #44 on the pop chart while hitting #7 on the R&B chart. The Jacksons performed Shake Your Body, Blame It On The Boogie & Destiny at Top Of The Pops. Mick Jackson finally meets the group who covered his song "Blame It on the Boogie", The Jacksons, when he performs "Weekend". 1984 - Jet magazine features Michael & Emmanuel Lewis on their cover with the story Michael Jackson, Emmanuel Lewis: Singer shares his success with those who inspire him. 1995 - Michael & Lisa Marie visit lawyer Johnnie Cochran at his new office in L.A.
2003 - ABC's "20/20" aired the British documentary "Living With Michael Jackson." "Today I feel more betrayed than perhaps ever before, that someone who had got to know my children, my staff and me, whom I let into my heart and told the truth, could then sacrifice the trust I placed in him and produce this terrible and unfair program," Jackson said in a statement released in London. Debbie Rowe, Michael's ex-wife and mother of two of his children, was quoted as supporting him. "It breaks my heart that anyone could truly believe that Michael would do anything to harm or endanger our children: they are the most important thing in his life," she said, according to the statement, released by a London public relations firm. 2009 - Michael goes to Dr Klein's in Beverly Hills. This entry was posted on 06 February 2011 at Sunday, February 06, 2011 and is filed under 1970, 1975, 1979, 1984, 1995, 2003, 2009 . You can follow any responses to this entry through the comments feed .